Though most companies worry about spending too much on sales & marketing, there are also risks in spending too little. In the interests of conserving cash in the short term, companies could be jeopardizing long term success. I'll talk about two specific types of under-spending risks. I've labeled them 1) climbing a mountain wearing flip-flops, and 2) the Ferrari stuck in the garage. Companies expose themselves to one type of risk by denying sales & marketing the resources they need to complete their required tasks. They're asking them to take on a steep challenge without providing them the proper equipment, like asking them to climb a mountain wearing flip-flops. The company may save money on the footwear (I just bought a pair a flip-flops from Old Navy for $2! ), but it's hard to imagine them getting very far on the journey. Some of these challenges are unique to software-as-a-service (SaaS) companies, making the sales & marketing task particularly difficult. For example, SaaS companies generally need to attend much more closely to their existing customers in order to secure renewals. Also, SaaS companies tend to introduce product enhancements more frequently than on-premise application vendors. These enhancements require more frequent updates to marketing and sales material. The size of the task explains why most SaaS companies provide relatively high funding for their sales & marketing organizations. For those companies for which financial data is publicly available, they spend, on average, 45% on sales & marketing relative to subscription revenue. In some instances, they spend as high as 82%. Sales & marketing expenses typically account for their single largest budget item. This high level of spending relative to subscription revenues is inherent in the SaaS model because sales & marketing expenses are generally recognized up-front, while revenues are spread over the life of customer subscriptions. If your company is spending below that 45% average, you may want to look at whether your sales & marketing organization has the resources it needs. You'll recognize this problem, for example, when over-loaded sales reps are unable to follow up on qualified opportunities, existing customers are unaware of product enhancements, your company is consistently overlooked by influential analysts, or marketing collateral is out-of-date or unavailable. SaaS companies expose themselves to a second kind of risk when they under-fund a sales & marketing operation that is well-built and runs efficiently. Efficient sales & marketing operations can generate high lifetime revenues with low customer acquisition costs. (See "Marketing Spend: How Much is Enough," for an extended discussion of this "lifetime customer revenue/customer acquisition costs" ratio.) Under-spending on sales & marketing in this instance means a lost opportunity to leverage an efficient machine. Top performing SaaS companies can generate more than $10 in lifetime customer revenue for every $1 spent on sales & marketing for customer acquisition. They've built a high-performance vehicle. But if they chose not to fill it with fuel, they'd have the equivalent of a Ferrari stuck in the garage. Their investment would be squandered. The consequences are foregone opportunities for growth and market share. Short-term Cash Conservation or Long-term Capital Destruction? In general, I advise that companies be careful with their sales & marketing spending. In fact, I've probably spent as much time in my marketing career poring over "opportunities yielded per program dollar," "mid-funnel conversion" ratios, and other metrics as I have pondering ad layouts or direct mail offers. 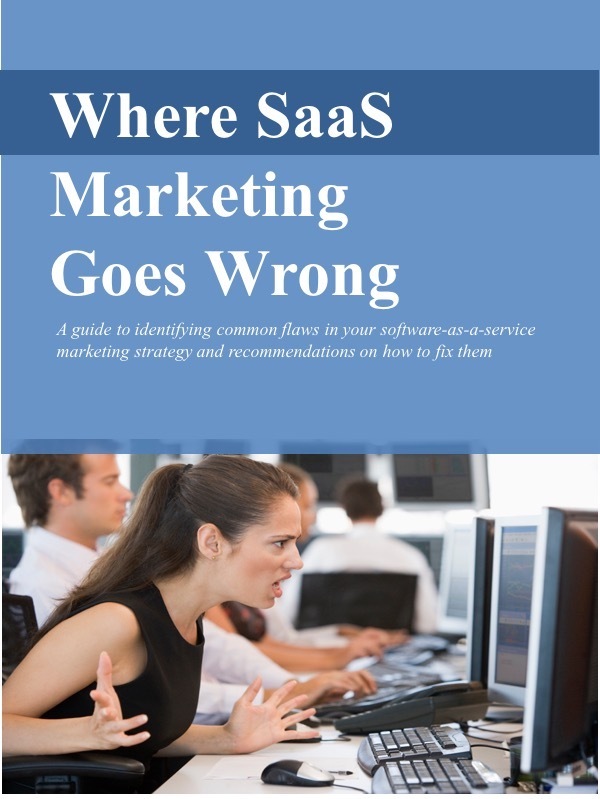 Companies selling via the SaaS model have little room to spend foolishly on sales & marketing. And companies spending too aggressively on sales & marketing - the Wile E. Coyotes - can quickly get into trouble. That said, however, companies should also recognize that under-spending exposes them to significant risks as well. Though they may conserve cash in the short term, they may be losing an opportunity to grow even faster. In a market in which 2 or 3 vendors are looking to emerge from a crowd , under-spending could cost visibility and market share. Saving a few thousand dollars in the short term could forfeit a long-term market leadership position and millions in future revenues. Marketing Spend: How Much is Enough?